Enterprise AI Assistant: An AI Powered Chatbot for HR ! Intelligent Machines have come out from science fiction to reality. BOTs and Chatbots powered with AI and Machine learning are redefining all the business functions and rules in ways never imagined before. 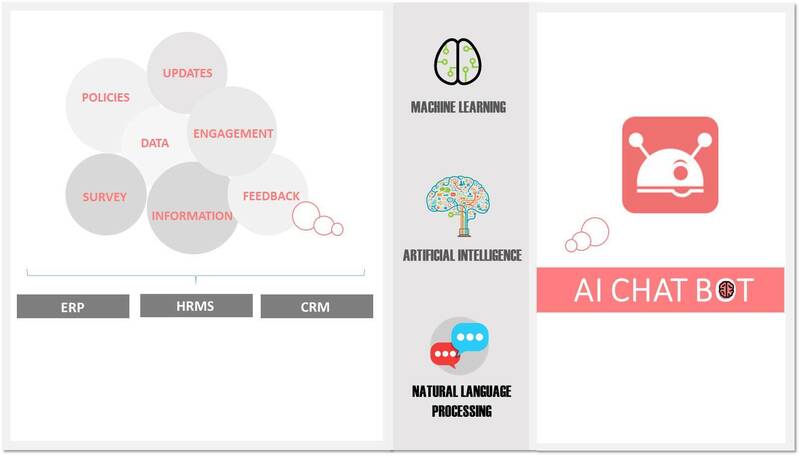 With 24×7 real-time interaction, one on one personalized engagement and super human-like intelligence, a customized Enterprise AI Assistant for your entire organization can revolutionize your employee connect and engagement. 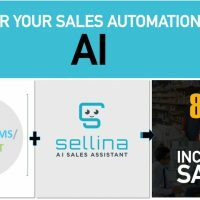 For all of you who still do not know what a BOT is, you may refer to my earlier blog, Man Vs Machine: AI Sales BOT is here! Our first of its kind AI and Machine Learning powered Enterprise AI Assistant – ‘Moon’, is helping companies engage and support 100s and 1000s of their employees simultaneously. ‘Moon’ is an AI-powered chatbot for HR that consumes data, information, and content from your existing ERP, CRM or HRMS and converts it into actions, insights, and conversations. How the Enterprise AI Assistant works. Our Enterprise AI Assistant – ‘Moon’ assists your employees w.r.t updates, data, information, policies, compliance, product knowledge, skill gap identification, training inputs, and engagement etc. It works on three core technologies. Conversational Interface : Conversational interface powered with Natural Language Processing intelligence, capable of instant response in discrete and consumable format makes the user experience frictionless and exponentially convenient. 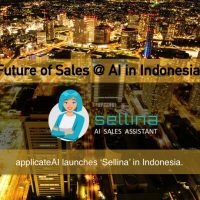 Users can chat with the AI Bot and get the all the information, data, content etc. which the BOT is trained for. System Intelligence : We have created an ‘Intelligent Machine’ with in-built intelligence on a lot of business scenarios, situations, and secondary data & information. 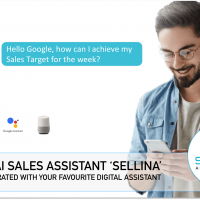 Our Enterprise AI Assistant – ‘Moon’ is trained to do a lot of logical and repeatable tasks and assist the entire organization as per their role and access. Self Learning Machine : Our AI Chatbot is a self-learning machine that keeps learning to improve its responses, identification of inefficiencies, insights, and opportunities based on experience and training. 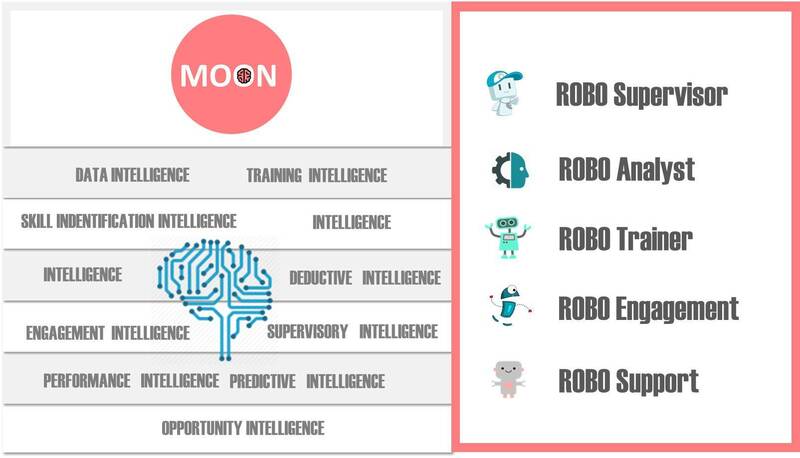 Powered with AI and Machine Learning, ‘Moon’ is trained to perform a host of logical and repeatable tasks with the following Skills. To address some of the skepticism around AI and organizations’ readiness to use it, I am answering 3 most frequently asked questions on the topic. AI has been there for decades, why so much noise now? Is it real – can it solve real problems or is it just hype? 1) AI has been there for decades, why so much noise now? In the last few years, the world has seen an unprecedented advance in AI led by Machine Learning and exponential growth in computing power. It is further fuelled by billions of dollars being invested by the large technology companies like Google, Amazon, Facebook, and IBM on AI research, AI projects, and AI platforms. Most importantly, the tech giants like Google, Amazon, FB, and IBM launched their AI platforms for developers, allowing them to create AI solutions. This democratized AI capability which was earlier limited to a niche talent pool of researchers and domain experts. 2) Is it real – can it solve real problems or is it just hype? AI can most certainly solve most of real business problems and challenges. It is already achieving maturity in a host of products like self-driving cars, drones, virtual assistants, medicine, diagnostics, healthcare and others. To understand it in yet simpler ways, AI can make anything that we use, consume or interact with, exponentially better, cheaper and efficient. The problems that AI can solve will depend more on our imagination and ability to apply available technology rather than technological limitations of AI. 3) Are we ready for it? Does it require a high level of organization and user technical maturity? This is the most misunderstood part of AI and its relevance to business. The first expected outcome of AI-based solutions is to make things easier, simpler, efficient and effortless, almost magical. AI BOTs will make automation exponentially better and simpler, frictionless and ubiquitous. I can say with absolute certainty that it would be far easier for any user or organization to use an AI-powered BOT, than any automation they have known or seen before. It will act as your Assistant and do things at your command. Most importantly, our Enterprise AI Assistant – ‘Moon’ can be seamlessly integrated with your existing data, ERP, CRM, or HRMS making it intelligent. To conclude, AI has come of age to create exponentially better solutions, almost magical in many ways. 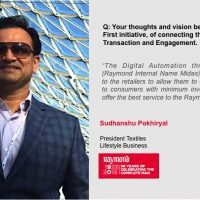 An AI-powered digital assistant for an enterprise can revolutionize their employee connect and engagement. Welcome to an ‘AI First World’. Your next HR hire may well be a BOT. !! 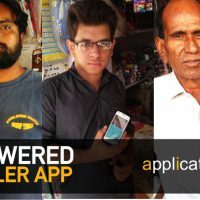 You can write to me at ranjeet@applicate.in for details and live demo of our Enterprise AI Assistant ‘Moon’.